RESYST researchers Benjamin Tsofa and Edwine Barasa from the Kemri Wellcome Trust Research programme have coordinated the pilot of a short course entitled ‘Understanding Complex Health Systems'. The course was inspired by RESYST’s health systems governance research within the Learning Site in Kilifi, Kenya which exposed a need to support health managers, particularly at the county level, as they undertake new roles of steering and managing health services within a highly dynamic devolved political system. build relationships with students and between facilitators, who are from Kemri Wellcome Trust Research Programme (Nairobi and Kilifi), Pwani and Strathmore University. It is also an important way of sharing RESYST research and a channel for research uptake, especially when students are policymakers or managers. A recent blog from CHEPSAA describes the adaptation and development phases of the course – the following text is taken from that – you can read the original blog here. Discussions with colleagues at Kemri Wellcome Trust Research Programme, Pwani University and some of the targeted participants revealed that the name needed to change to sound less threatening to non-academic audiences and resonate more with participants. We settled on Understanding Complex Health Systems. We opted to integrate more local examples as illustrations into the lectures. We felt this would make it easier for the participants to see the relevance of the course and identify with it, and that it could also be an avenue for the dissemination of our research findings. We included a component where the participants were asked to identify a health system problem in their counties and apply the skills taught in the course to this problem. 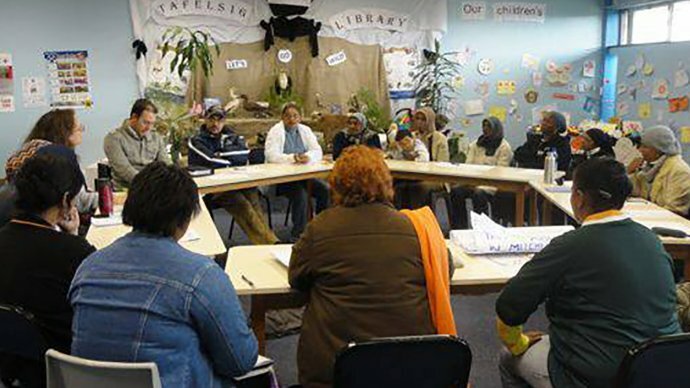 This helped them apply their knowledge and skills in tackling their local problems. In piloting the course, we made important observations and learnt valuable lessons. First, it was evident that most health managers are familiar with the World Health Organisation’s health system building blocks framework. However, they have always seen these blocks as independent of each other, with only linear interactions between the blocks. We were thus delighted to observe participants’ appreciation when, using local examples, we illustrated how system interventions in any of these blocks often result in multiple and unpredictable interactions with the other blocks. Second, participants had real appreciation of the centrality of people within the health system and the conceptualisation of the health systems as comprised of “hardware” and “software”, both of which are critical for optimal functioning. It was clear from the discussions that participants felt that “software” - especially “intangible software” such as power relations, values, motivation and trust – was key to health systems. Participants struggled with, and indeed challenged us to think more about, how to effectively and sustainably strengthen “intangible software” aspects of the system. Third, a key learning point for participants was the notion of systems thinking and whole systems change. Managers felt this approach was very useful and highlighted the fact that this was not always part of the material in other health systems courses. Fourth, we were struck by the capacity and calibre of health system managers. The perception in Kenya has always been that local-level or frontline managers have limited training and capacity, and that capacity building initiatives thus have to be basic and simplistic. Our participants, however, had good capacity and most had taken the initiative to undertake further training through for example enrolling for master’s programmes in health systems and/or public health. The managers therefore had relevant work experience and were also intellectually well-equipped to engage with complex issues in health systems. Fifth, contrary to expectations that Kenyan health managers, as has been the tradition, would not be motivated to attend training without individual rewards like per diems, it was interesting to see that participants attended the course sessions without the expectation of monetary reward. Participants clearly appreciated the usefulness of the course and indeed recommended the need to extend the teaching to more health systems managers, particularly senior managers at the county-level. Lastly, we experimented with and learnt that integrating our own research work into teaching is a useful and natural way to disseminate findings to targeted policy-makers.